I worked on FX Networks micro sites for multiple seasons. Because of the frequency of new television shows, we needed to establish a template for FX that was easy to update with new content. The idea was to try to keep the sites consistent from an asset standpoint but not to make them look like templated websites. Louis CK is one of my favorite comedians. For the first season of Louie, we were asked to create a site that felt comical and distinctly New York. Below are a few of the pages we created. 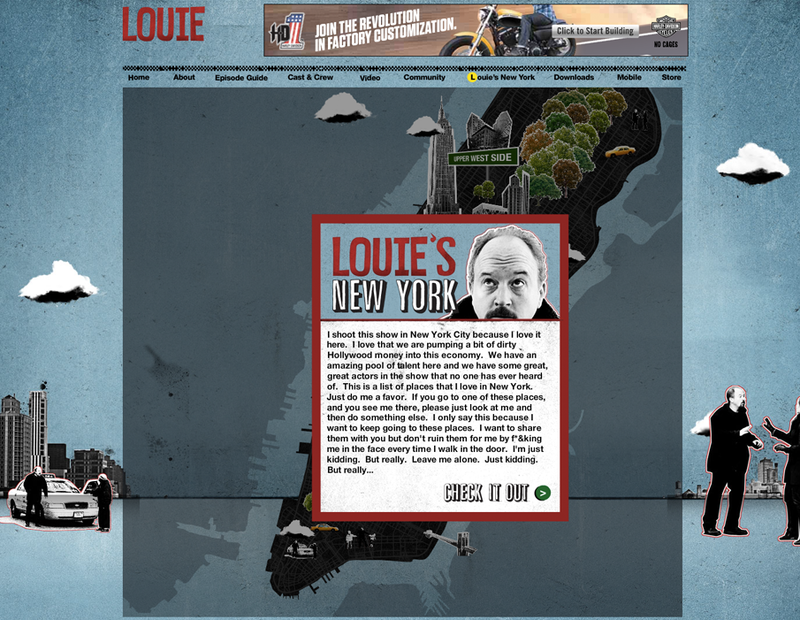 In addition to a static site, there was an interactive map that showcased Louie’s favorite spots in NY. Designing the map was one of my favorite parts of the project.